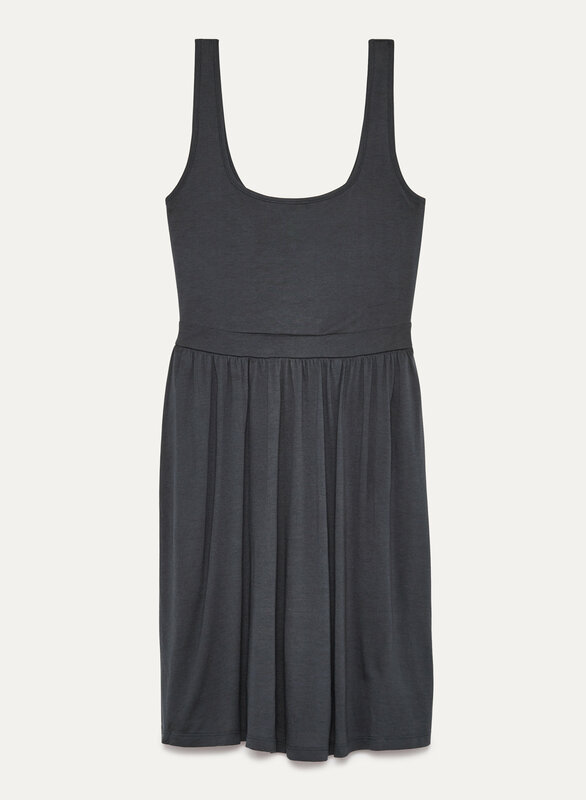 This dress is made with a stretch jersey that's perfect for all day, every day. The flattering A-line silhouette has a nice drape — this one-and-done outfit will make your morning routine a little easier. I am a bit too tall for this dress but its super comfy and I love how soft it is. Definitely going to be wearing booty shorts or tights to match! Light, airy material. I normally wear a large in this type dress. Sometimes even a XL if it's tight around the rib cage. I was barely able to pull it on due to how tight it was in the bodice.